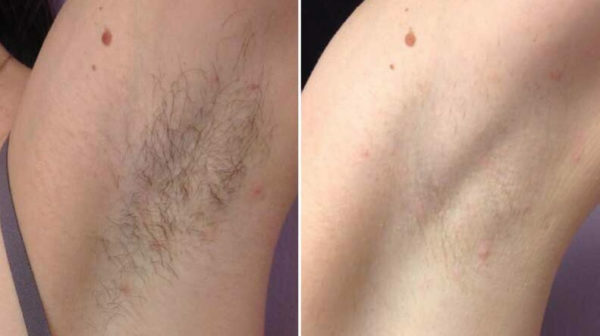 Do you have areas of unwanted body hair that you have to regularly shave, wax, and pluck? Are you tired of these time-consuming and sometimes painful methods? At Artisan’s Rejuvenation Spa, we offer comfortable, convenient laser hair removal for a more permanent solution to getting rid of unwanted body hair. Located in College Station, Texas, our medical team at Artisan’s Rejuvenation Spa is led by Dr. Ricardo Pocurull. Contact us today to schedule a consultation and find out how laser hair removal can help you maintain smooth, silky skin without having to worry about hair stubble or regrowth. From creams and gels to waxes and special razors, there are many conventional methods to getting rid of unwanted body hair. These solutions not only take regular maintenance, they can also create uncomfortable ingrown hairs, razor burns and general skin irritation. Laser hair removal is safer for your skin that goes where other hair removal treatments cannot – underneath the skin to treat unwanted body hair at the source. The high-intensity controlled laser energy is non-ablative, meaning it penetrates into deeper tissue layers without damaging or injuring the surface of the skin. Pulses of laser energy are emitted into the skin via a handheld device, where the energy is converted into heat. The dark pigments of the hair follicles are targeted and gently heated, disabling the follicles and preventing future hair regrowth. As the growth cycle of body hair happens in three stages, it may take multiple treatment sessions for all of the hair in a treated area to be effectively disabled, depending on the size of the area. Laser hair removal is currently one of the most permanent solutions on the market for long-term results and silky, worry-free skin. At Artisans Rejuvenation MedSpa, we use the Diolaze laser, which offers the fastest known treatment available in addition to being completely painless. During treatment, all that is felt is the warm, soothing laser. The skin may appear slightly flushed or pink after treatment, which should subside after a day or so. Our advanced laser technology has built-in safety features that prevent any damage or overheating of the skin for professional, predictable results you can trust from a medical team that has extensive training in this procedure. Certain contraindicating medical conditions may require further evaluation before treatment is approved, which will be discussed during your consultation. Depending on the size of your treatment area and other factors, our medical team will advise you on how many sessions you may need in order to achieve your desired results. Schedule a consultation and find out how laser hair removal can help you restore your confidence in your skin safely and comfortably without the pain and inconvenience of shaving, waxing, or tweezing.